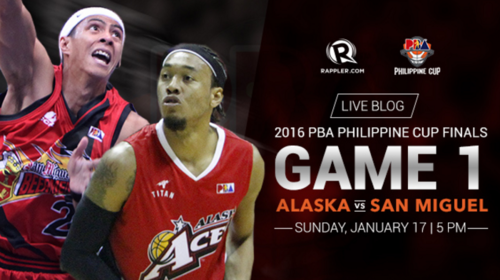 Welcome to our PBA Finals live blog! 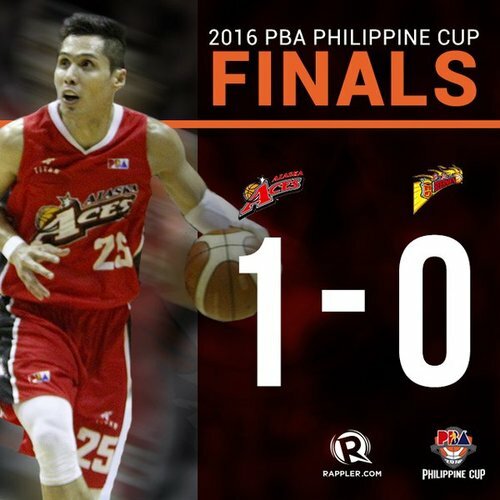 Catch Game 1 of the 2016 PBA Philippine Cup Finals on TV5, sports5.ph , 92.3FM and Cignal 198 HD! 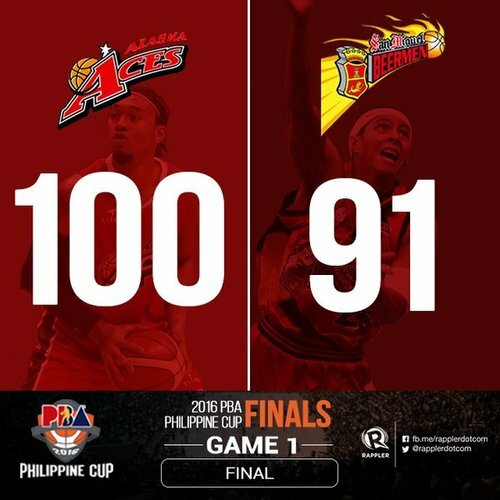 9-0 run for the Beermen. 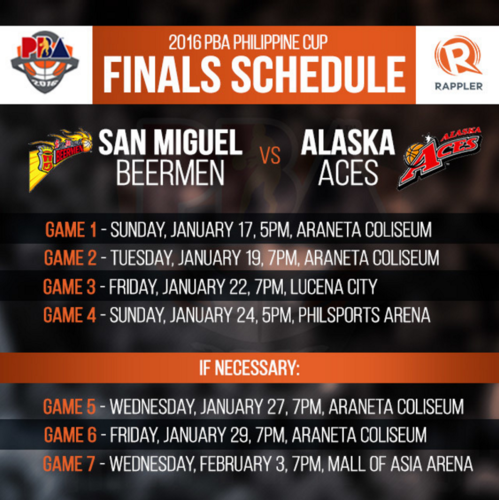 They are ahead over the Aces, 9-2, 7:46 left in the opening quarter. 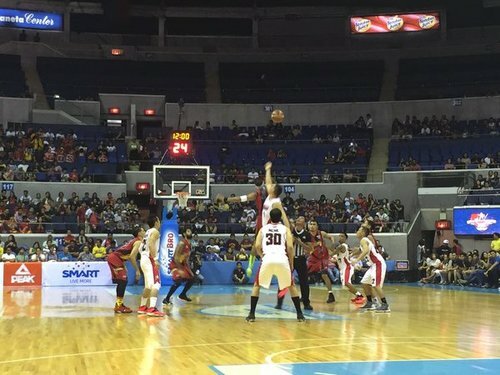 Under 3 minutes left in the opening quarter, 15-10 SMB still ahead. 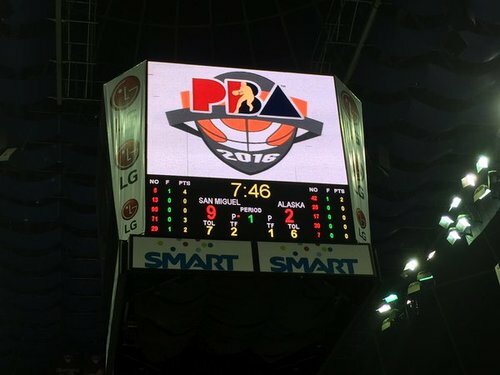 Calvin Abueva hits a three, Chris Banchero with a basket and we are tied, 17-all! END OF FIRST QUARTER. 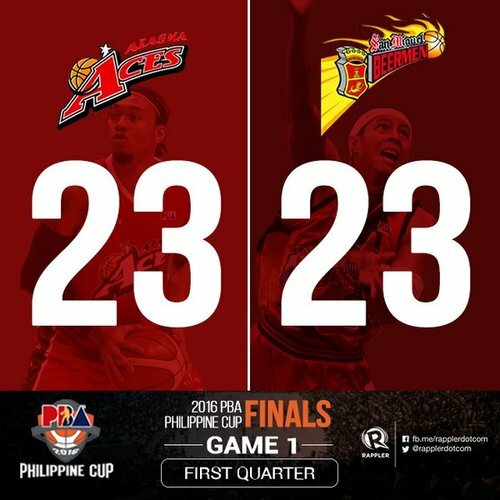 We are tied, 23-all!